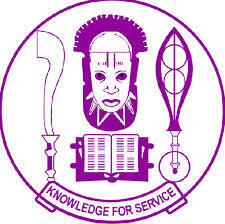 THE University of Benin, UNIBEN Post UTME result for 2017/2018 academic session is out. Using this platform, the Dailyschoolnews Nigeria team would love to notify all candidates who sat for the 2017/2018 Post UTME Screening Exercise, that the uniben post utme result is out. Take note that the UNIBEN PUME RESULT which is released by the school leadership today, is ONLY for candidates who sat for the screening/aptitude test. ALL Participants of the Uniben Putme screening exercise can now check their result now on by visiting the Uniben Post UME Result checking portal HERE. After doing that, proceed and click on the “Login” button below the box to access your results. But wait, before checking your results, we’re wishing you the very best! Admission is yours this session! Please share this important information with your friends on facebook, twitter and Google+, that the Uniben post utme result/admission list for 2017 is out!